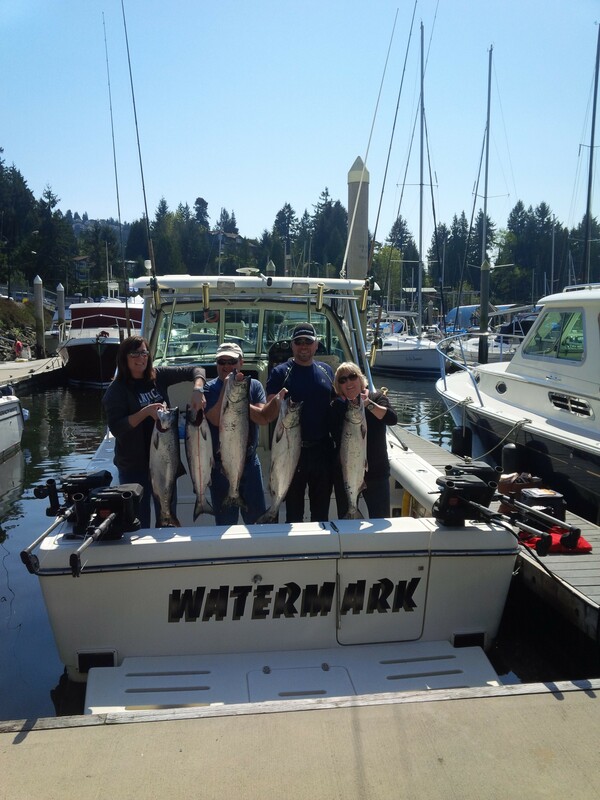 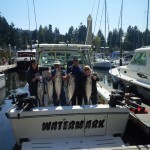 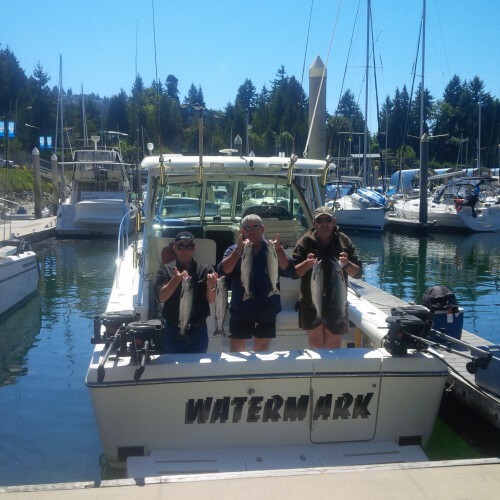 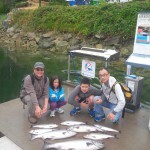 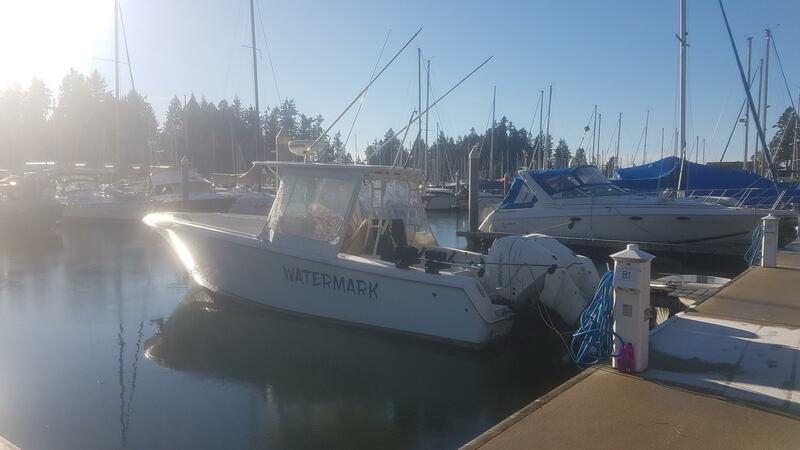 March 30th 2014 Watermark Vancouver fishing report. 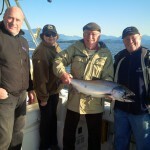 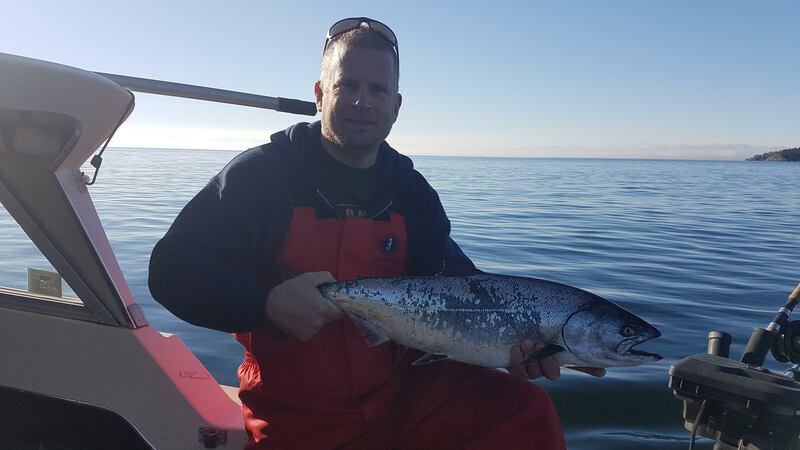 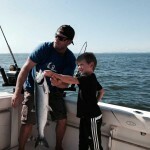 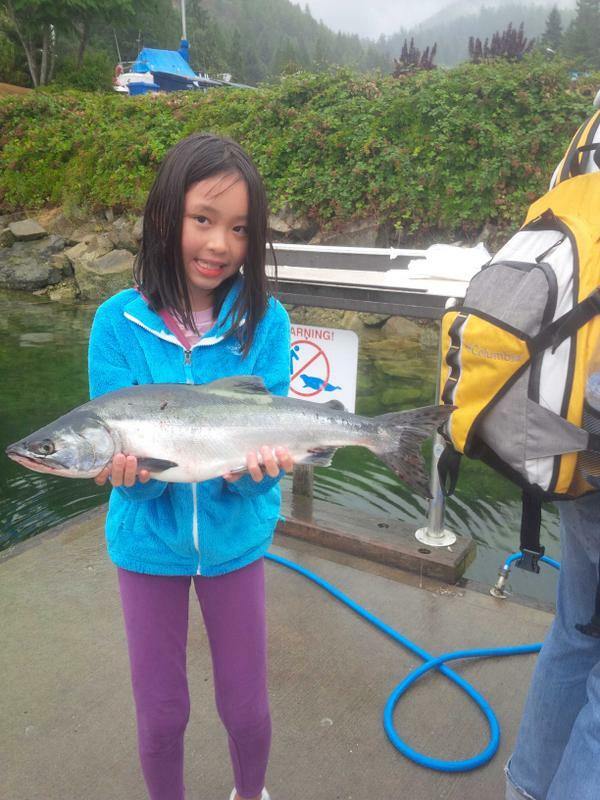 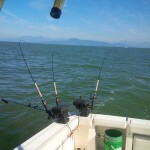 The start of the Vancouver salmon fishing charter season has started. The Watermark is starting to do charters. 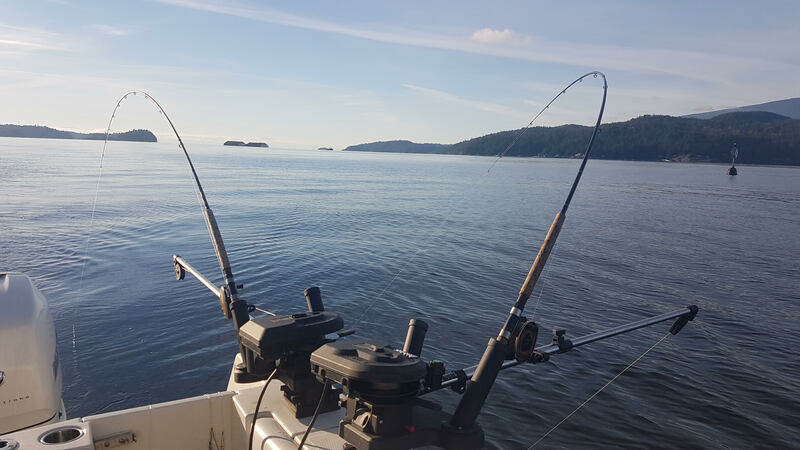 There have been some good reports in the last few weeks and with Spring at the South end of Bowen, fishing will start with our first run of Springs in the next week or so. 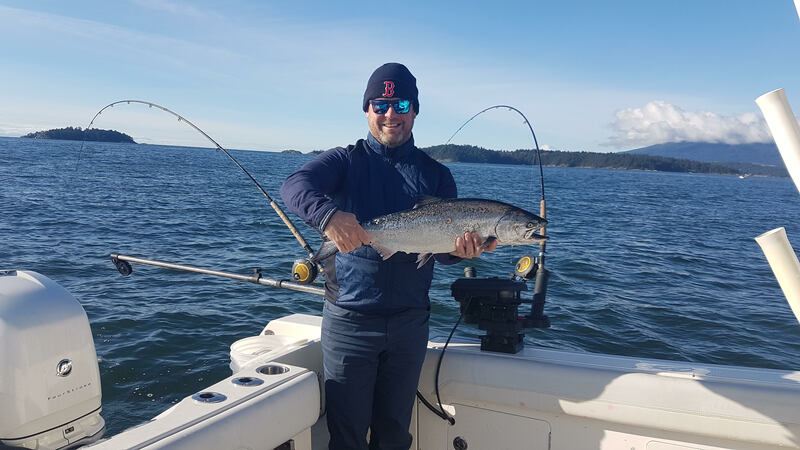 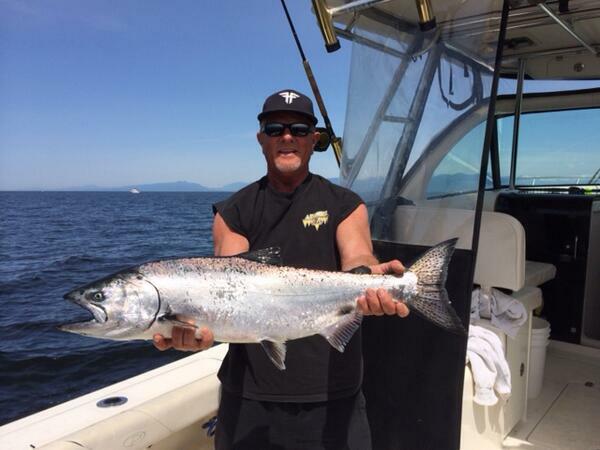 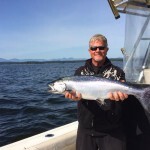 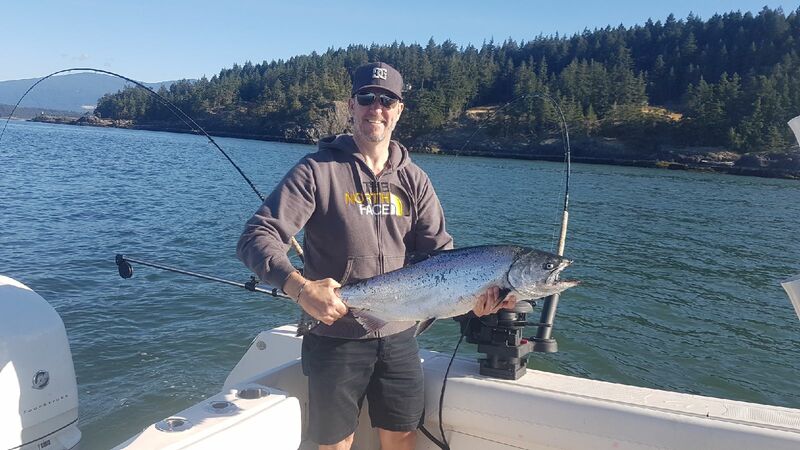 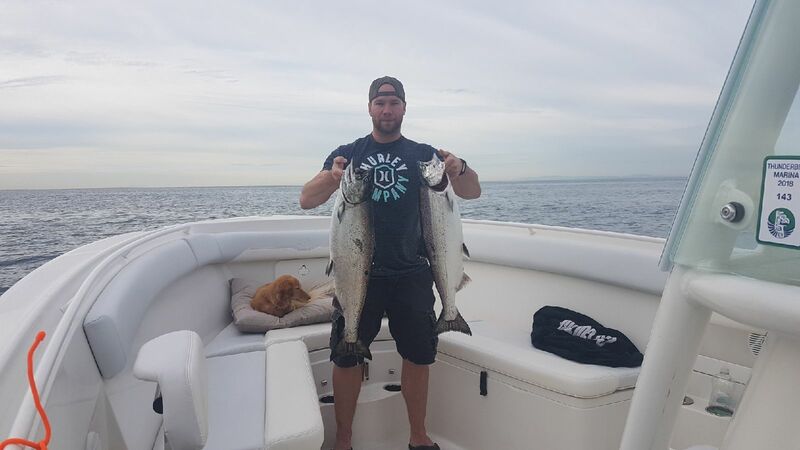 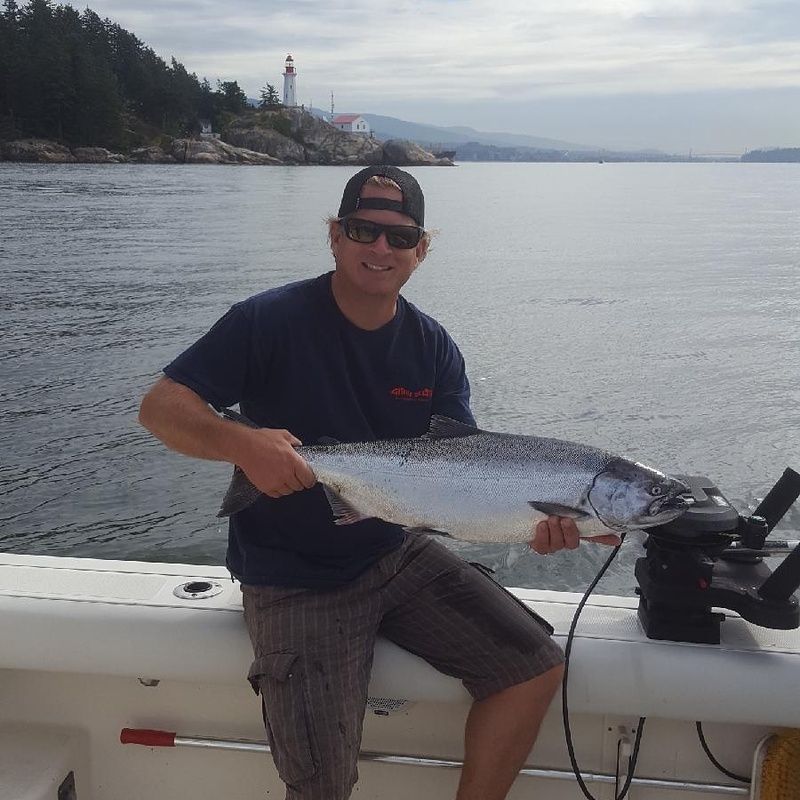 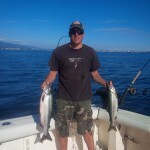 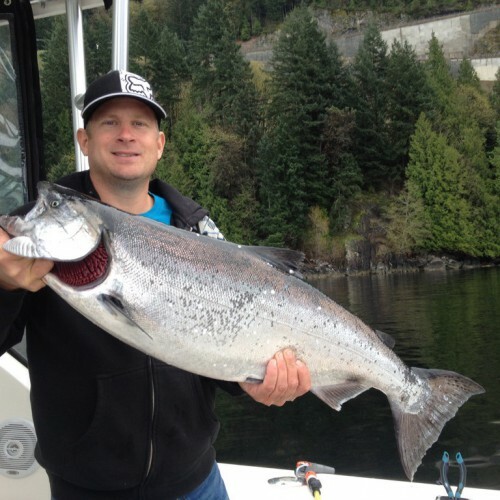 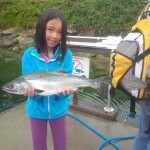 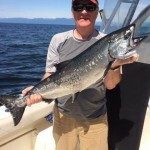 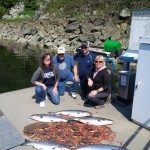 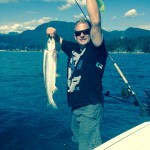 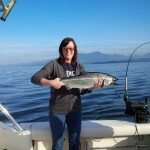 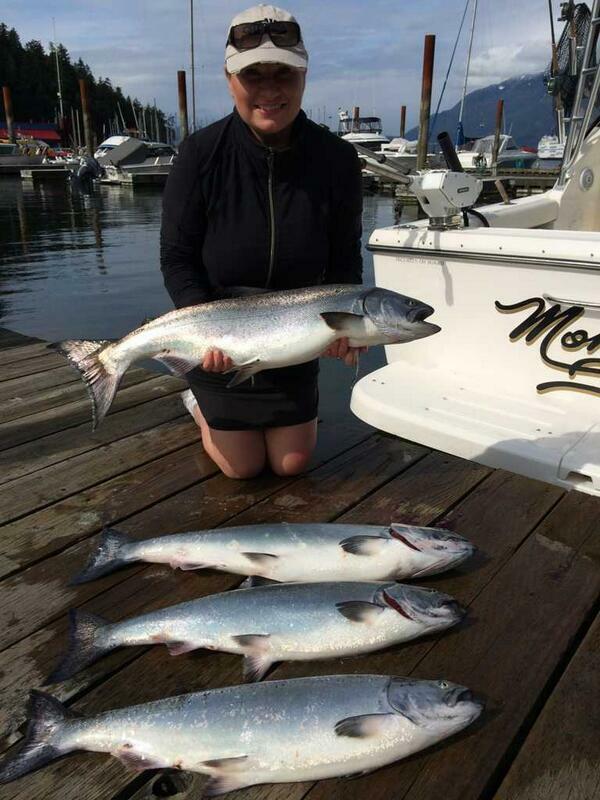 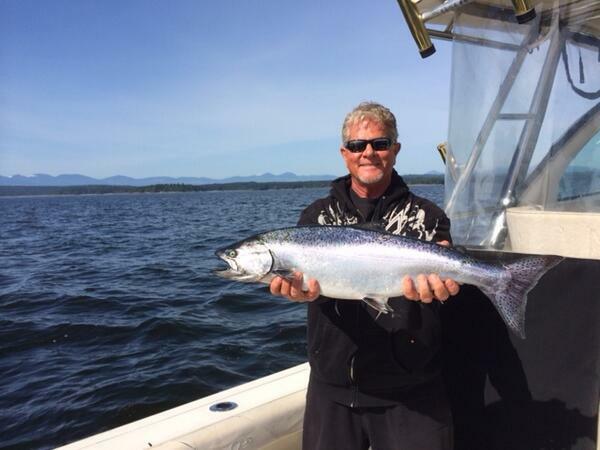 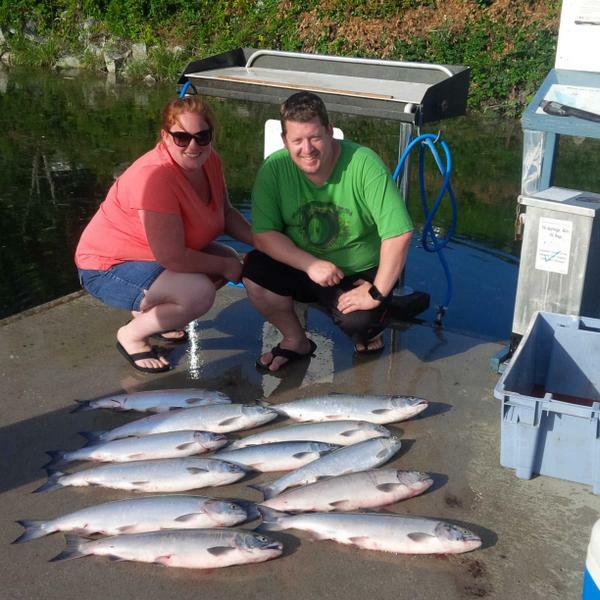 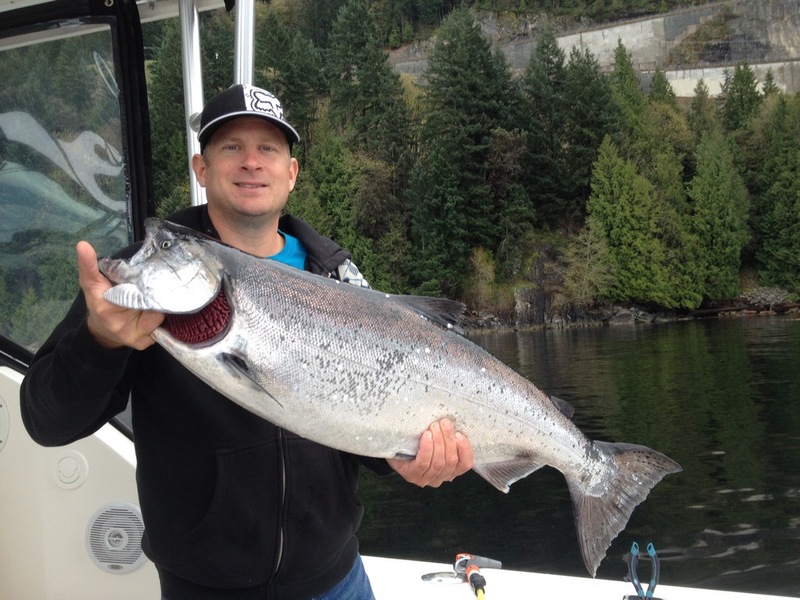 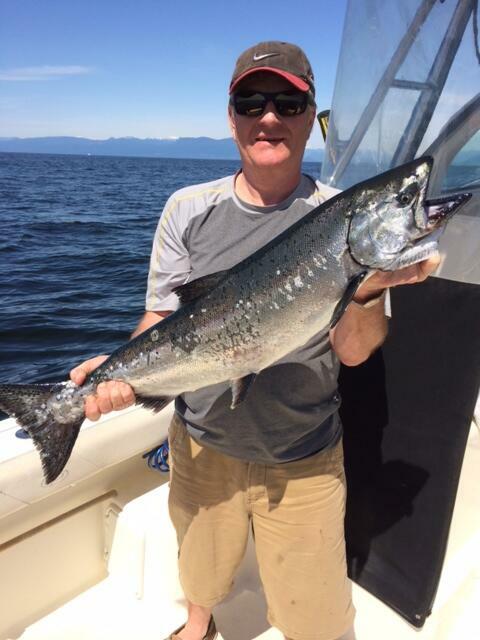 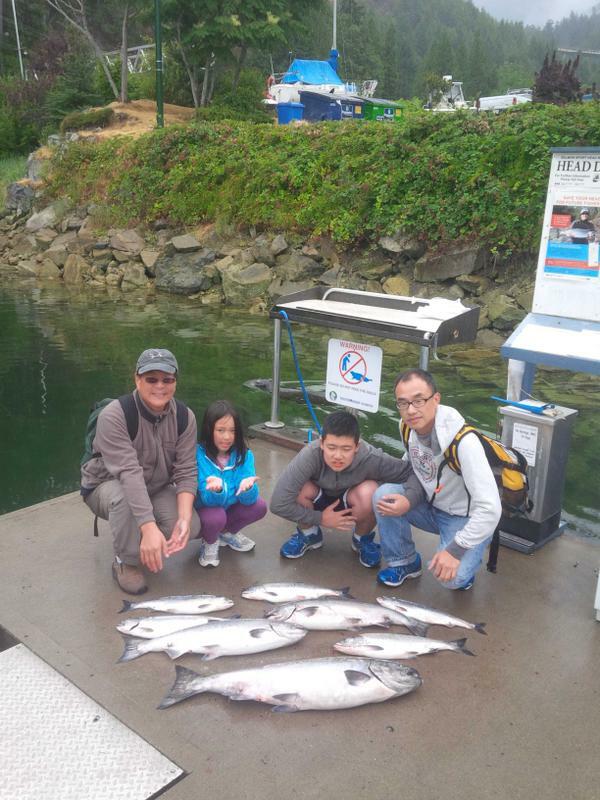 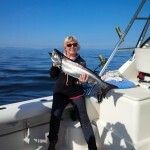 In the past few weeks there have been some nice spring caught on the West side of Bowen island. 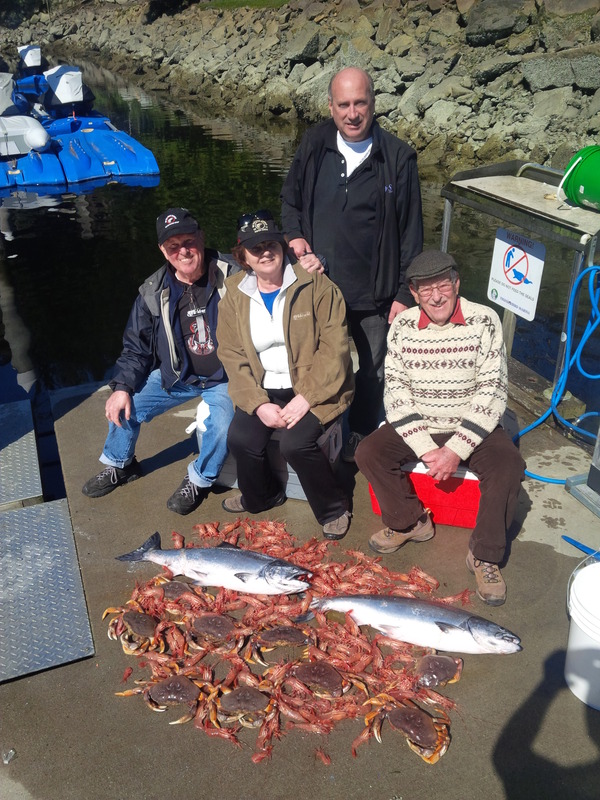 Grace, 3rd marker, and Tunstal have produced a mix bag of just undersized, and some nice legal fish. 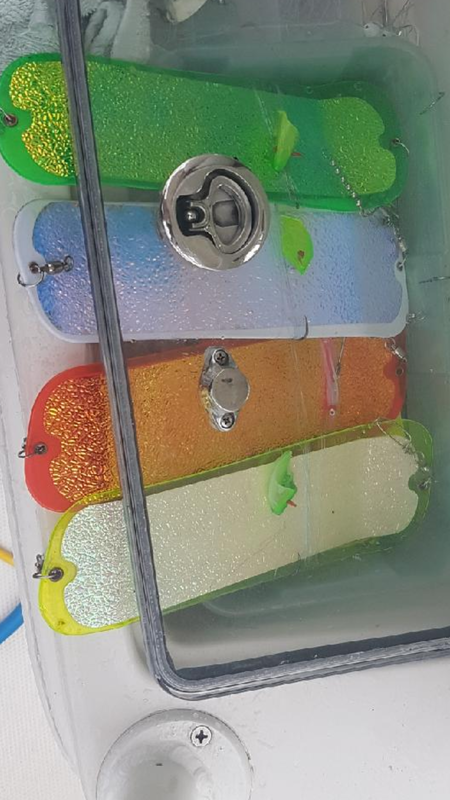 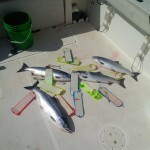 The fish have been caught mainly on spoons. 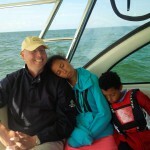 Silva Hordes (Irish cream, home land security). Gibbs Gypsy (flamming hans). 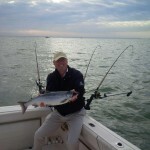 G force ( bon chovie). 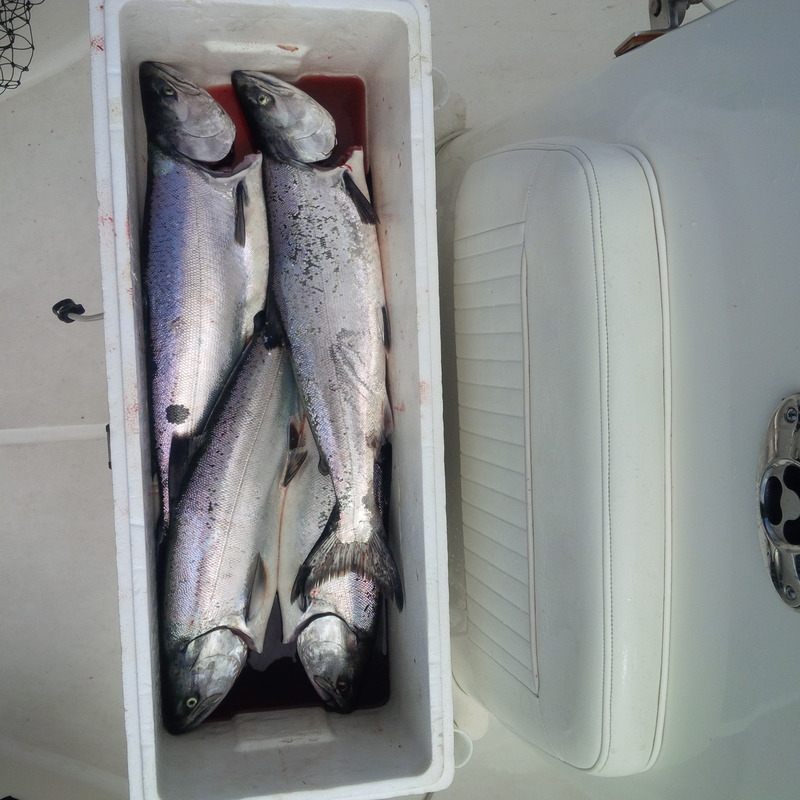 Also anchovies have worked well. 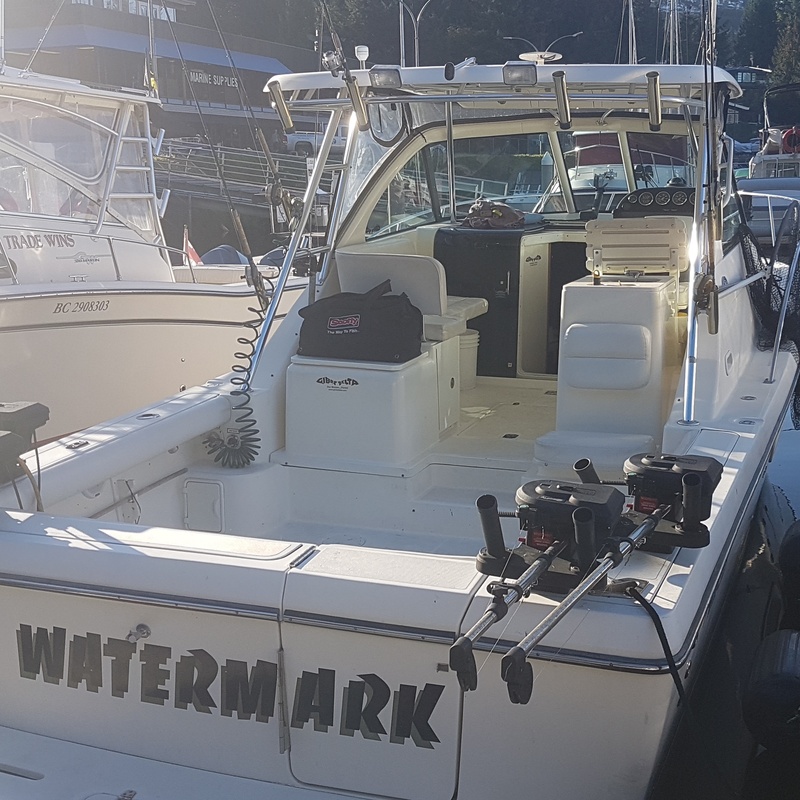 There have been a few fish caught off the South end of Bowen island it’s still a bit early but that’s a great sign with so few people fishing the area to see a few legal fish caught. 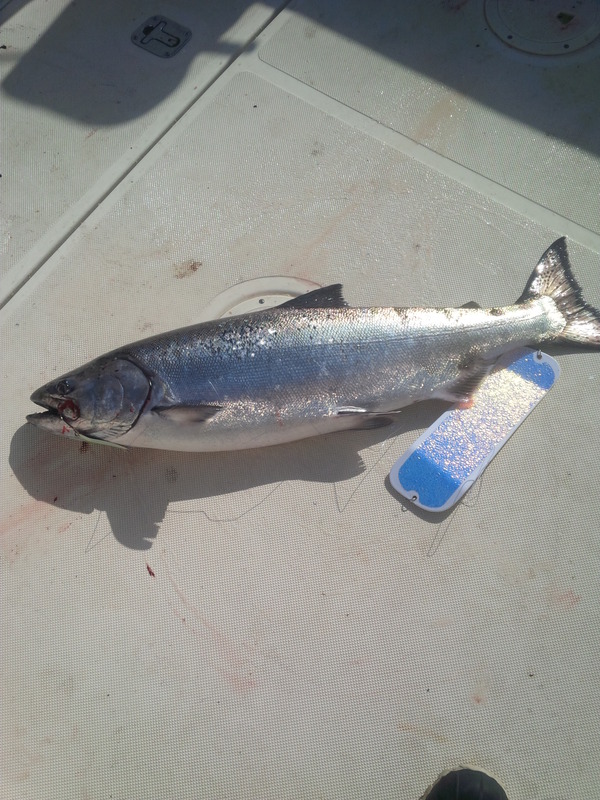 Anchovie seems to be what’s worked so far but a mixer of spoons mixed in is a great bet. 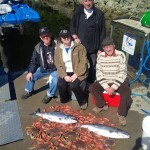 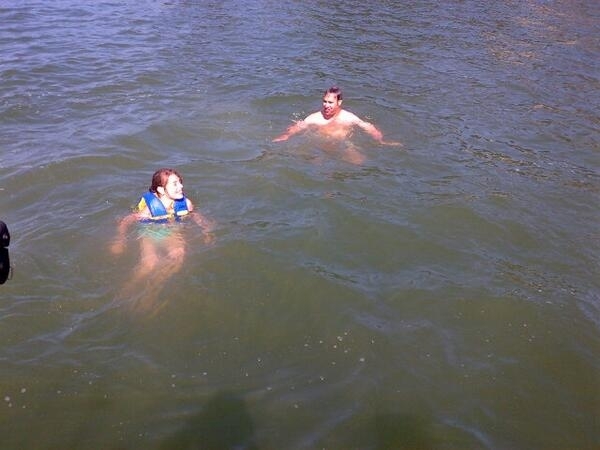 We will be out this week if the weather is good, so check my twitter out on my web page and see how we are doing‎. 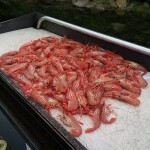 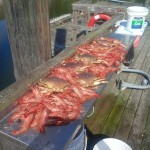 The crabbing has been very good and the prawning is good also and this usually stays like this most of the year. 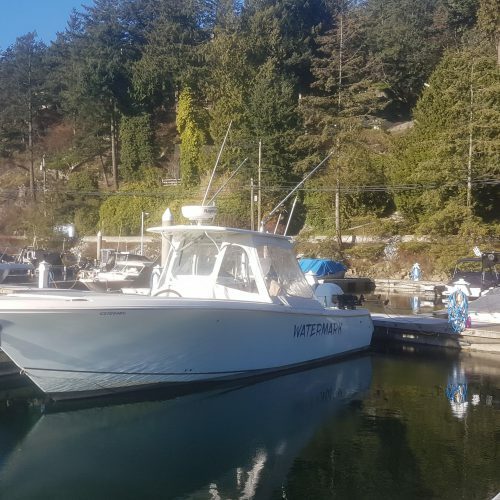 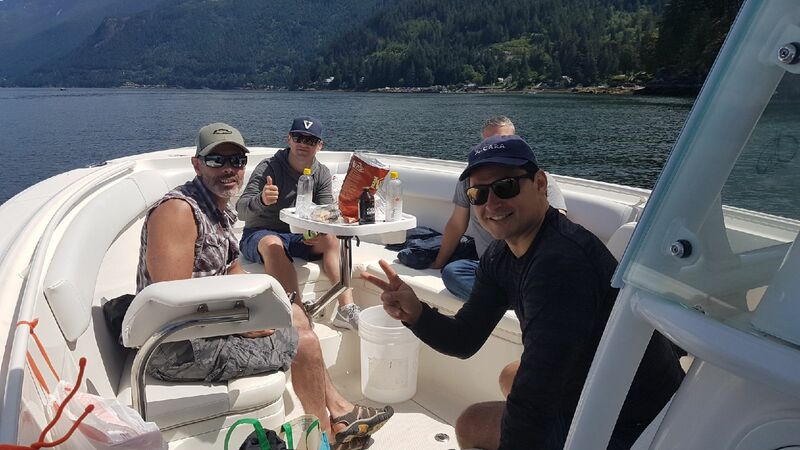 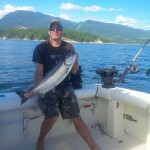 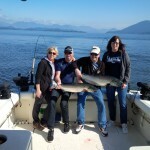 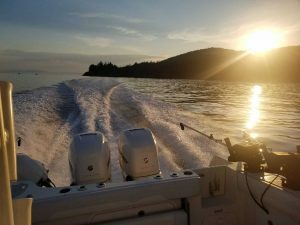 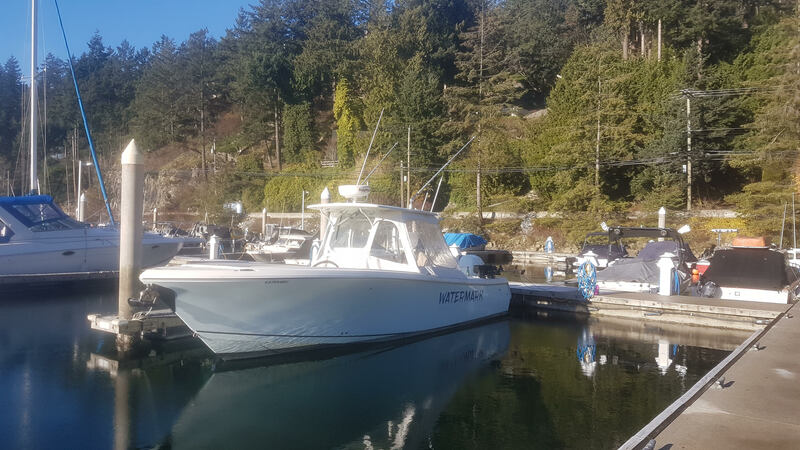 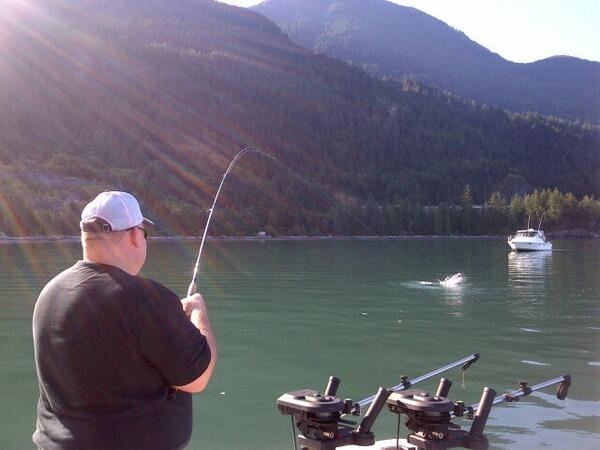 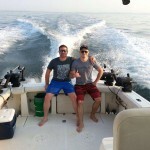 Until next time good luck it’s a great time to book a charter for fishing the South end of Bowen island. 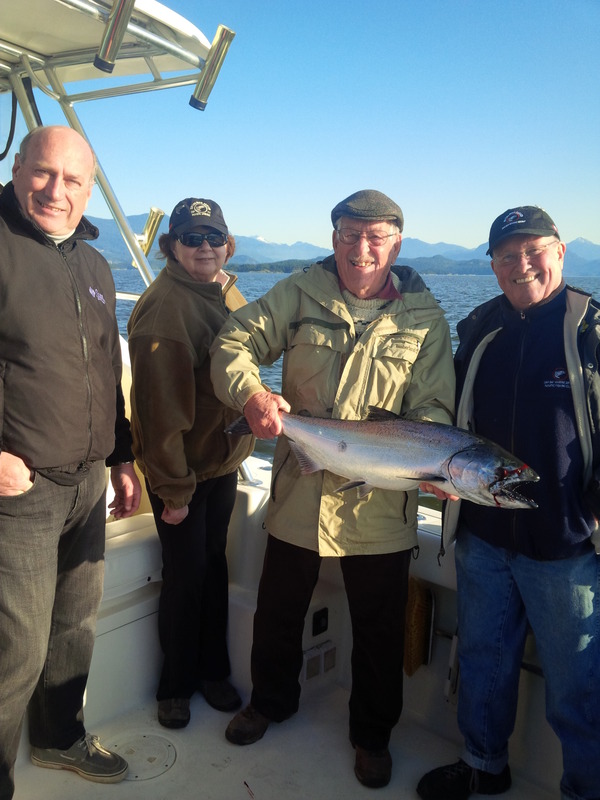 It’s the first good run of Spring salmon in Vancouver to start the year. 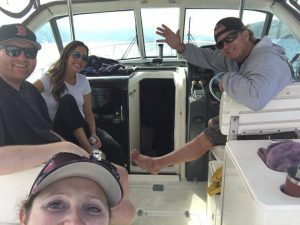 ‎ Until next time good luck. 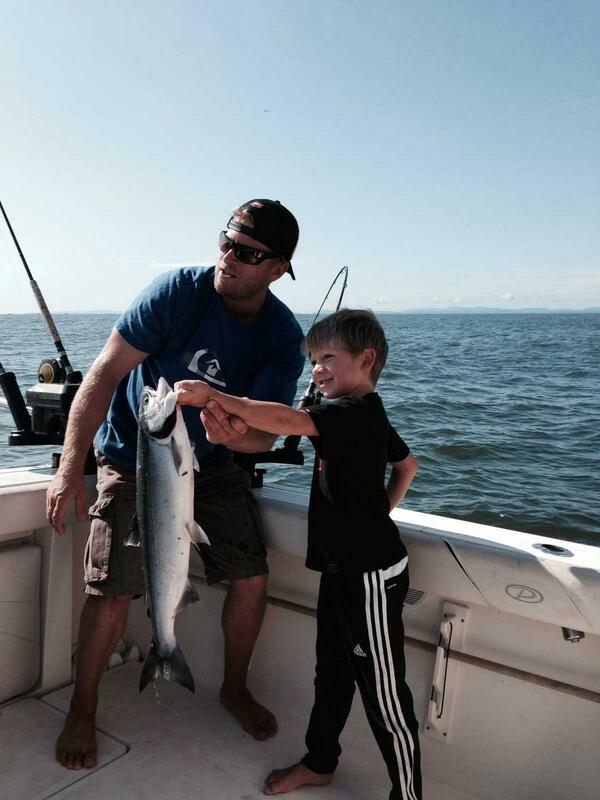 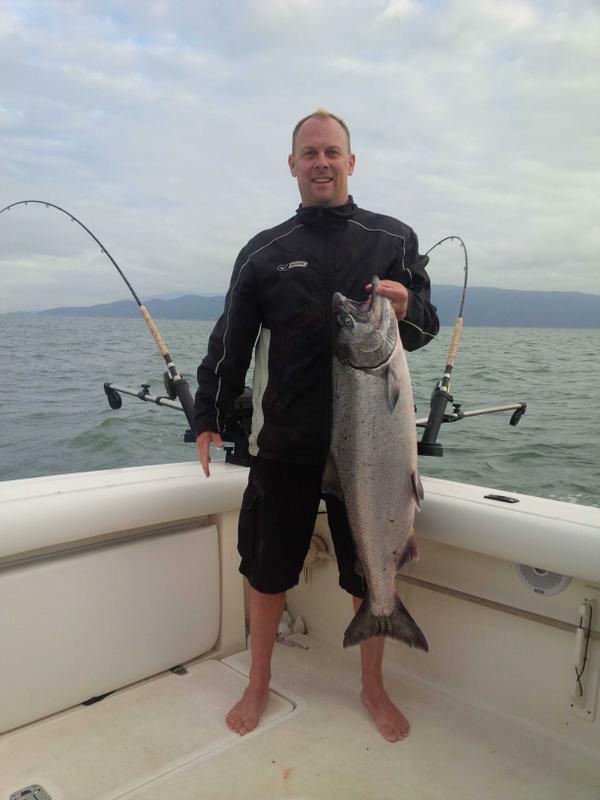 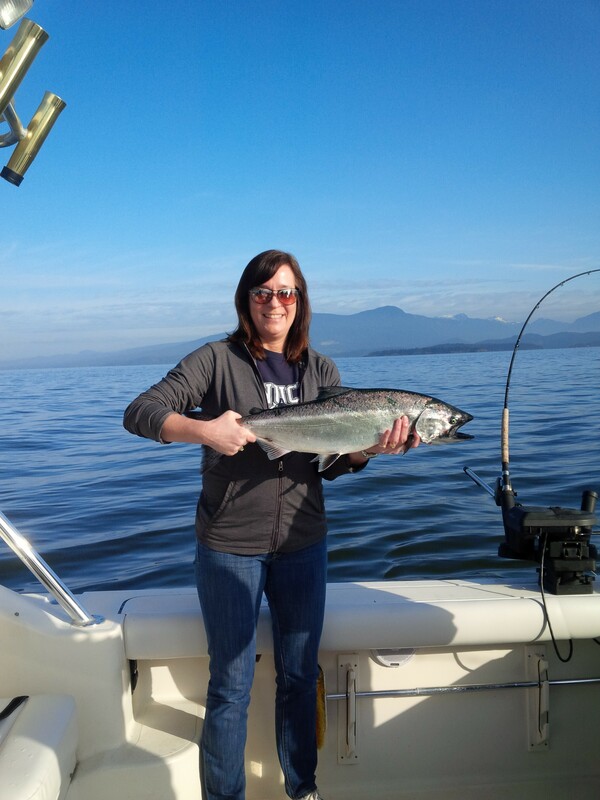 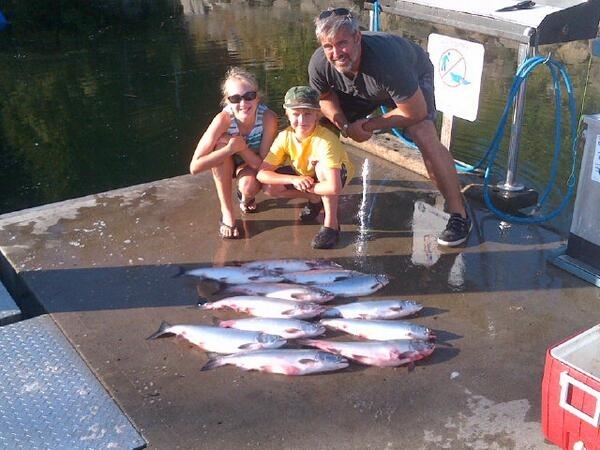 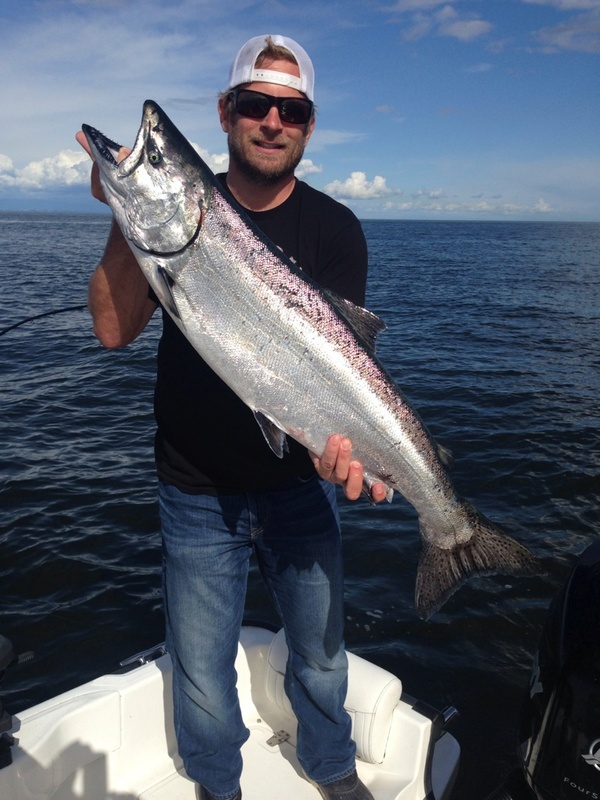 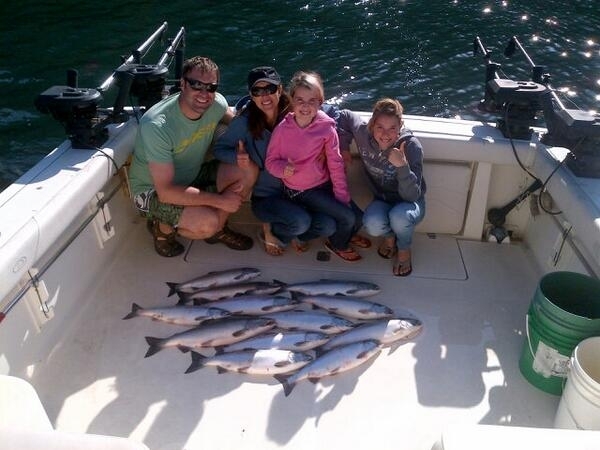 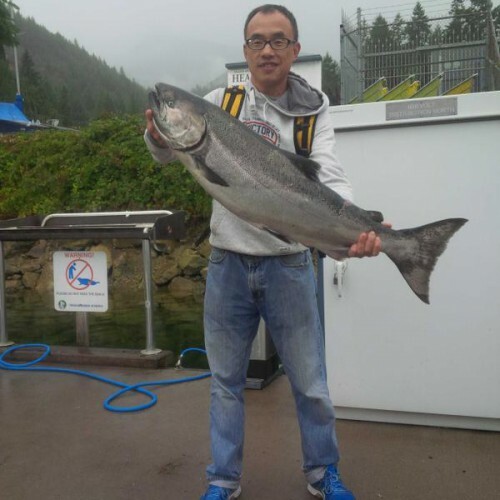 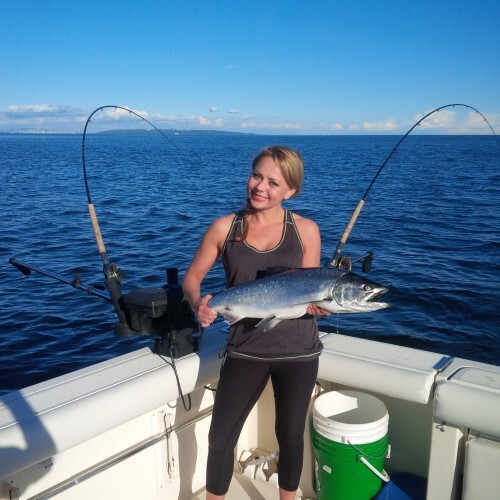 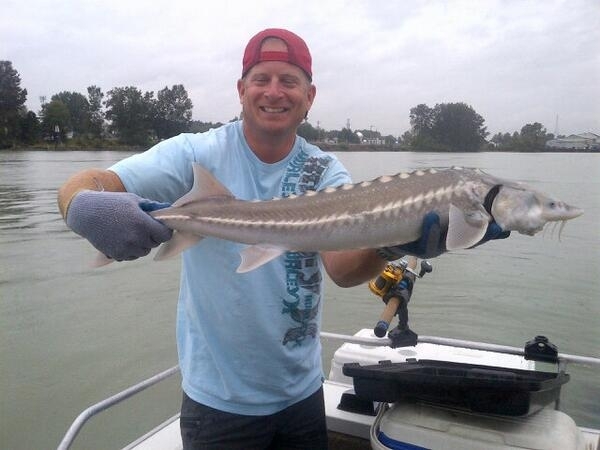 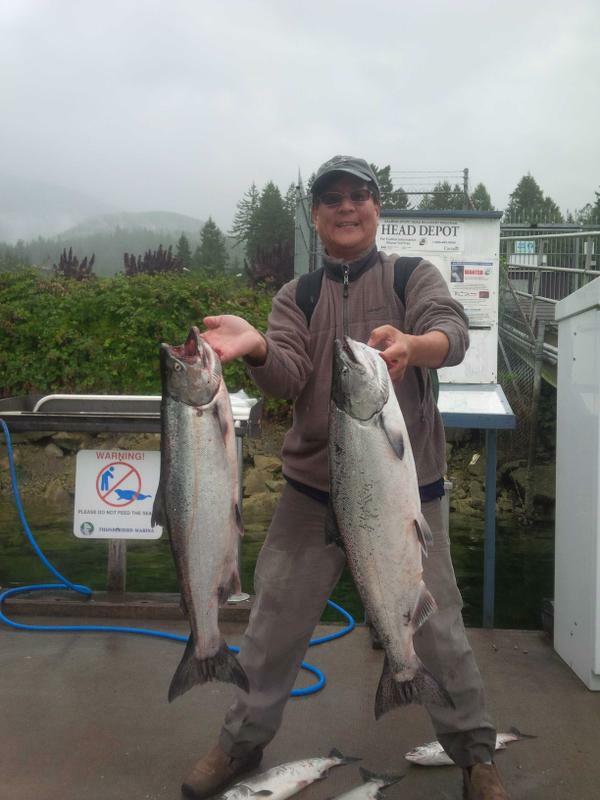 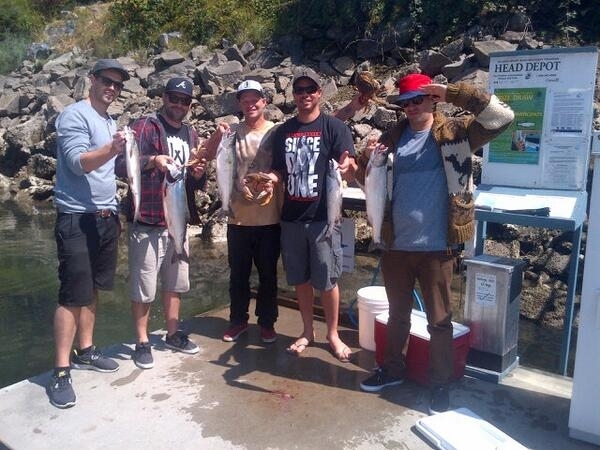 Sept 1st fishing report 2013 for Vancouver Charter Fishing. 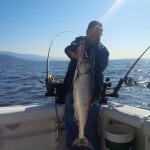 The salmon fishing in Vancouver remains very strong off the Fraser river from the N. Arm to the S. Arm of the Fraser river. 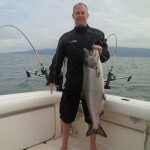 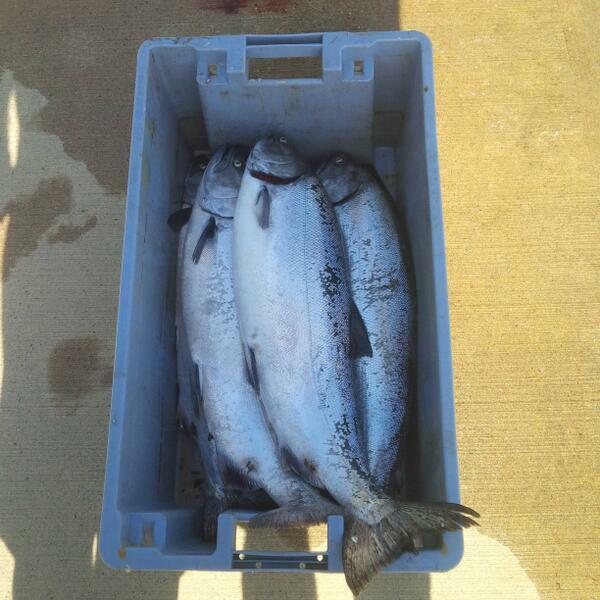 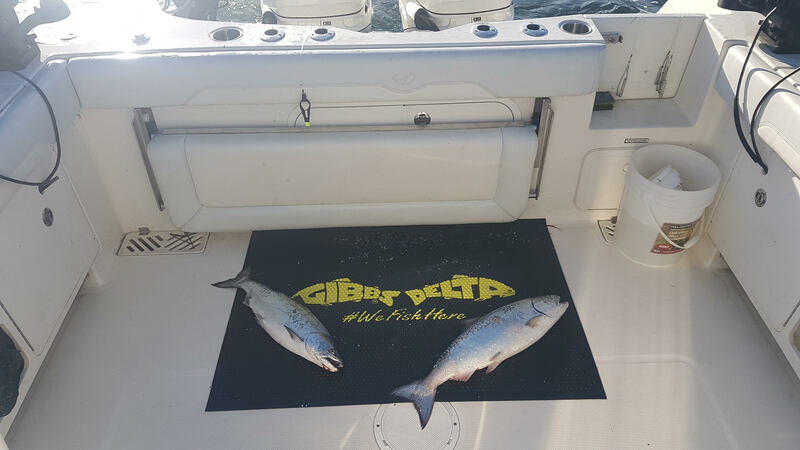 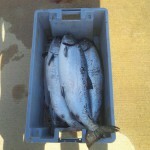 Check out my twitter @salmoncharter and you will see the results. 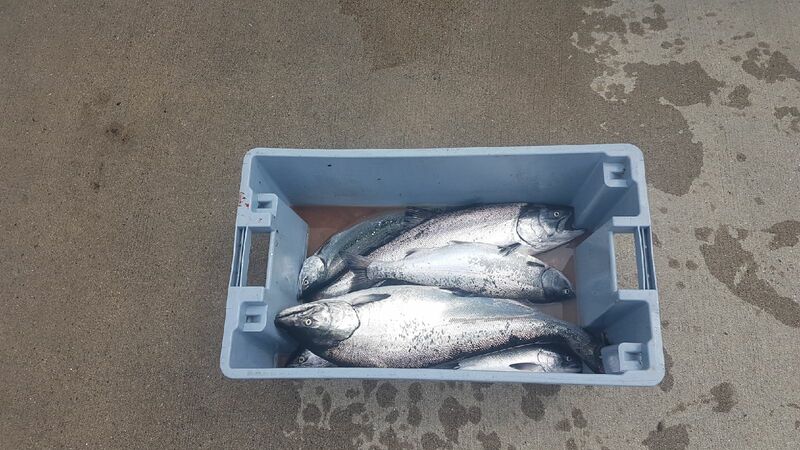 We are getting a mixer of fish most days from releasing Sockeye salmon, and wild Coho with an odd hatchery mixed in and keeping a lot of Pink salmon, and the Chinook fishing (springs) has been great also. 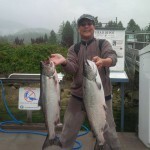 If there is no significant rain this should continue for another week or so. 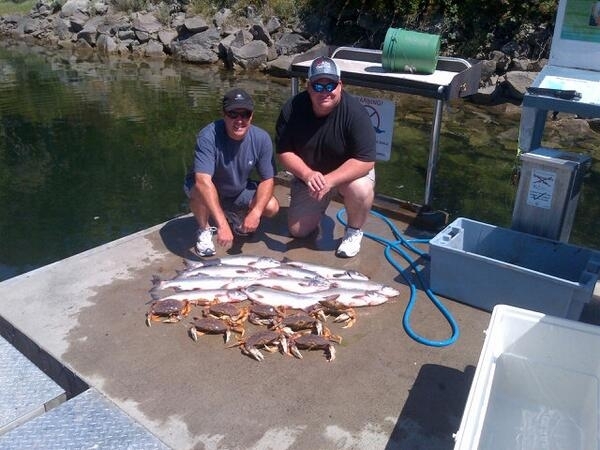 Call for more info and what trip best fits into this fishery for you. 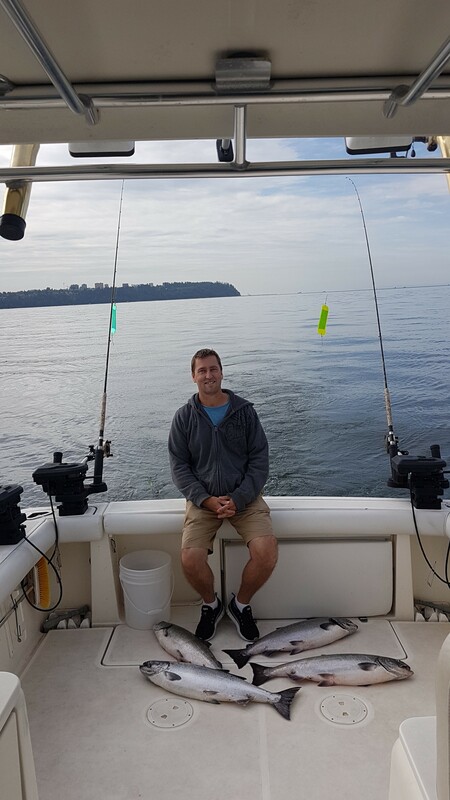 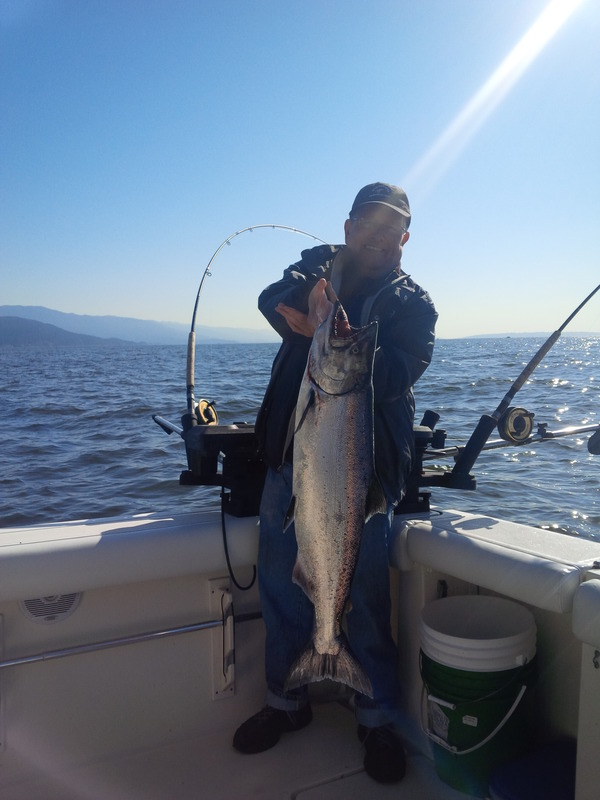 After the Fraser river fishery slows down we move into English bay and start fishing the West Vancouver shoreline again for our last big run or Spring salmon for the year. 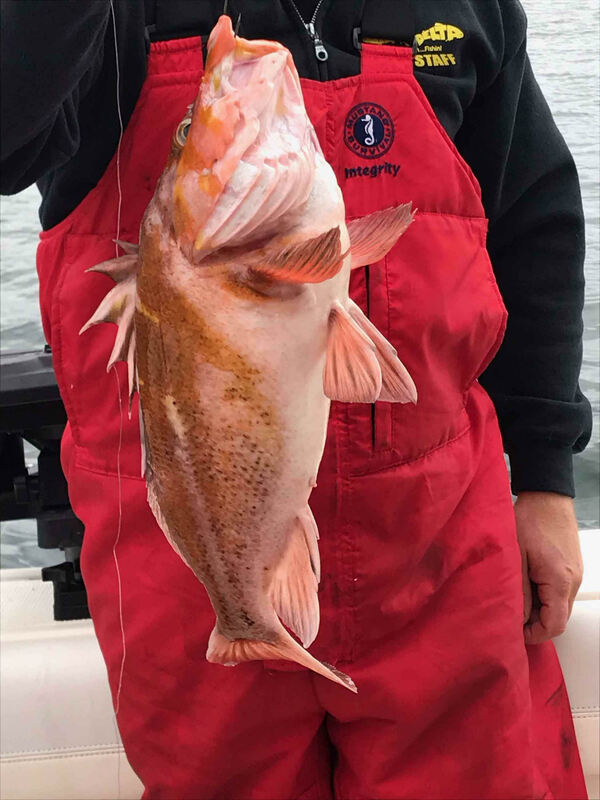 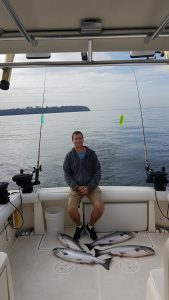 This fishery we only fish the flood tide which is the low tide to the high tide this pushes the fish towards the river and concentrates them in a small area. 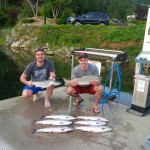 In this fishery we also catch Coho salmon and a bit later on we get Chum salmon. 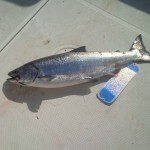 For this fishery we advise a 6hr charter minimum or fish the whole flood tide because the fish can come in anywhere on the tide. We also advise don’t fish the weekends if possible in the week there’s 15 to 20 boats and on the weekends there can be over a 100 boats fighting for a very small area and can sometimes shut the fishing right off. 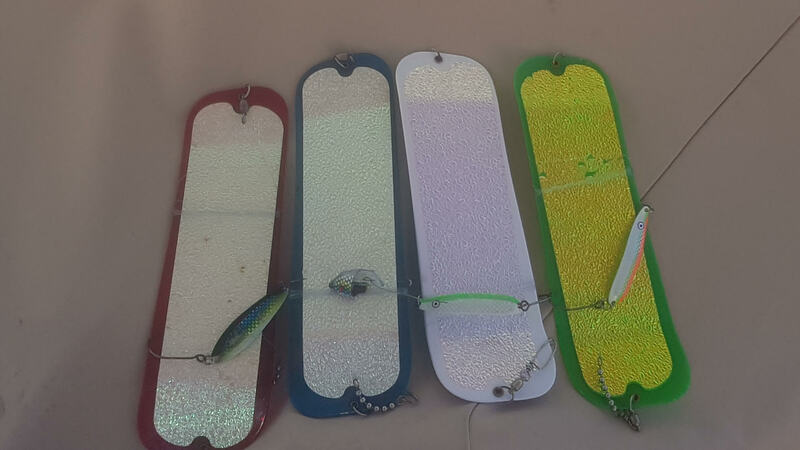 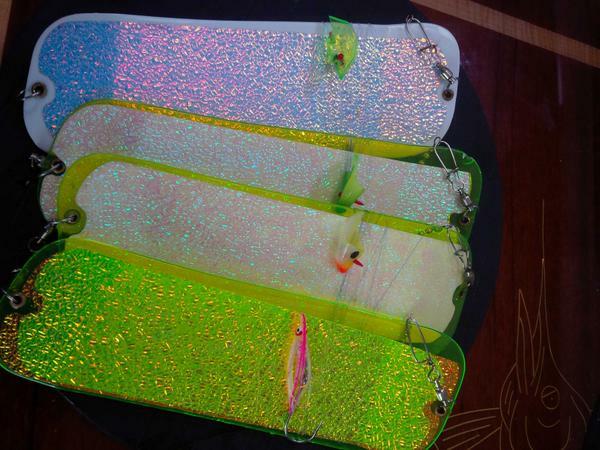 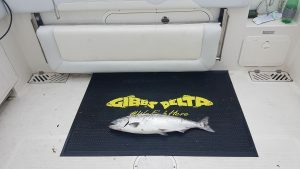 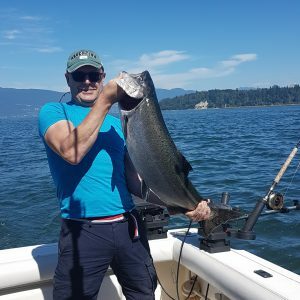 Off the Fraser river our best tackle have been Gibbs Highliner flashers with anchovie or herring, or Silver Horde spoons and for the Pink salmon little pink hootchies are best but they hit anything. 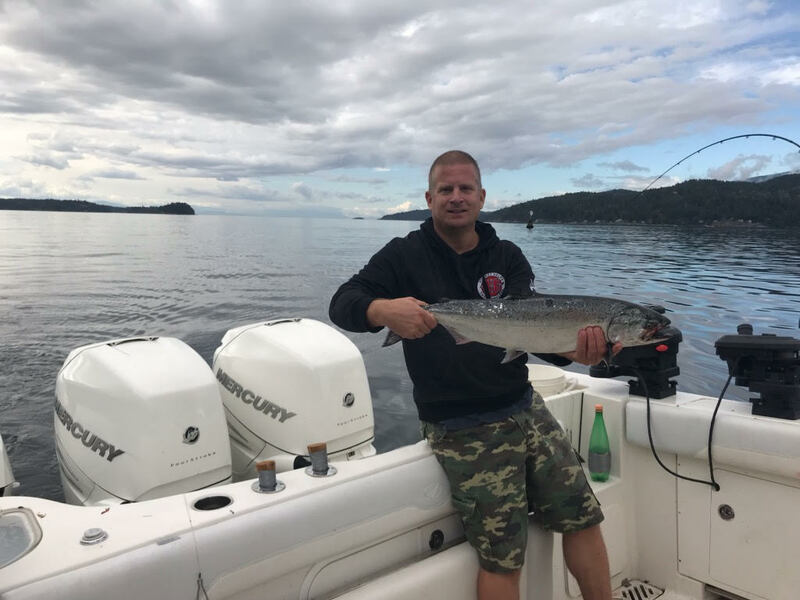 There are 2 main places to fish right now; one is the West van shoreline for Coho, Pink, and Springs but mainly Pink salmon. There have been a few real nice Spring salmon being caught and the biggest one has been close to 30lbs, but most of them mid to high teens. 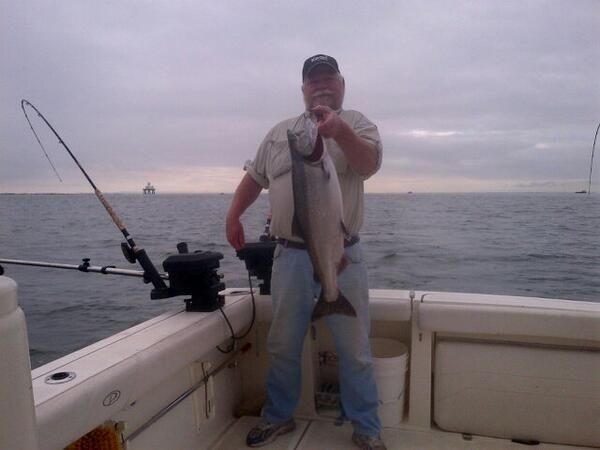 This makes things look good for our Spring fishery at the Bell Buoy and off the Fraser river in the next month. 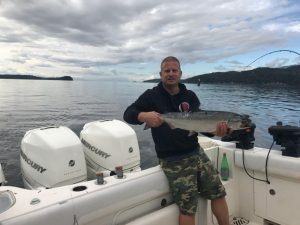 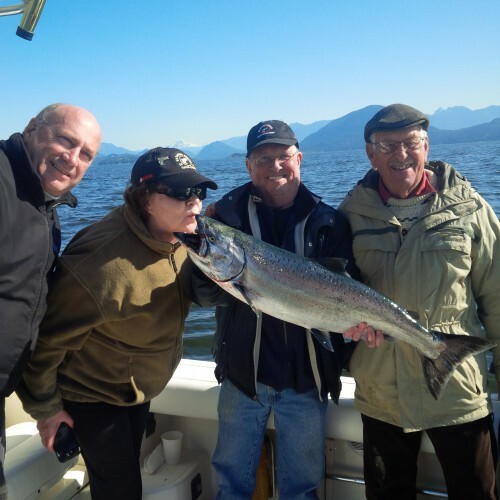 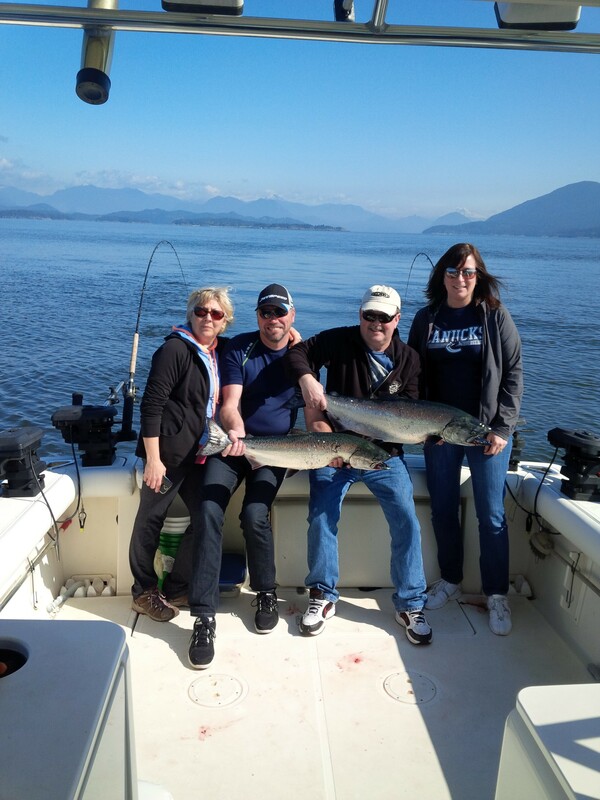 If you like light tackle fishing with light spinning rods in the beauty of Howe sound surrounding you this is the time we only get this fishery every 2yrs. 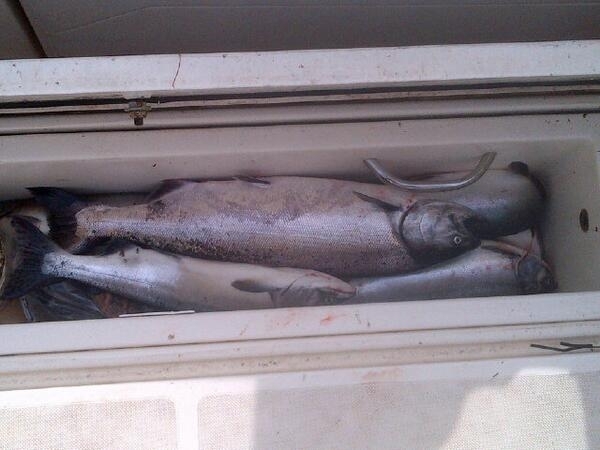 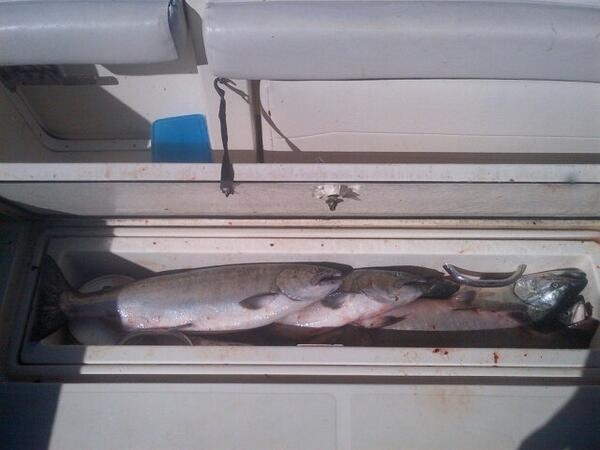 Its been limits of Pink salmon every day so far and its only the end of July. 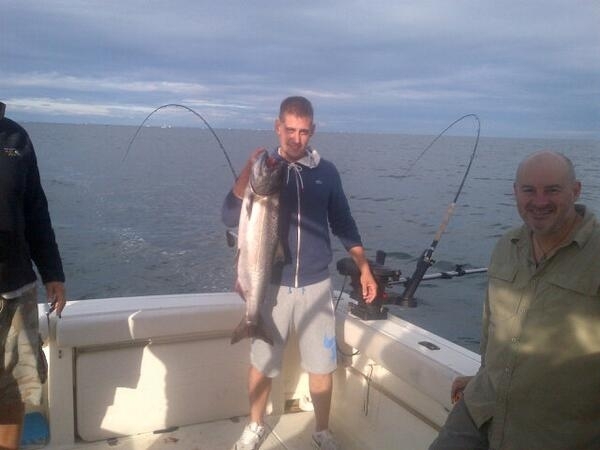 This fishery doesn’t normally peak till mid August so fingers crossed its just an early start. 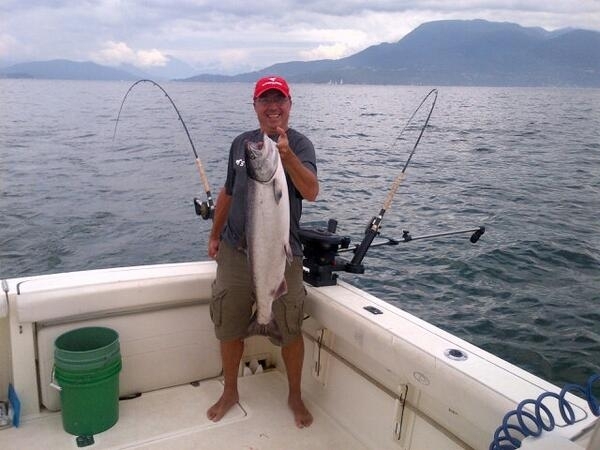 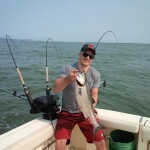 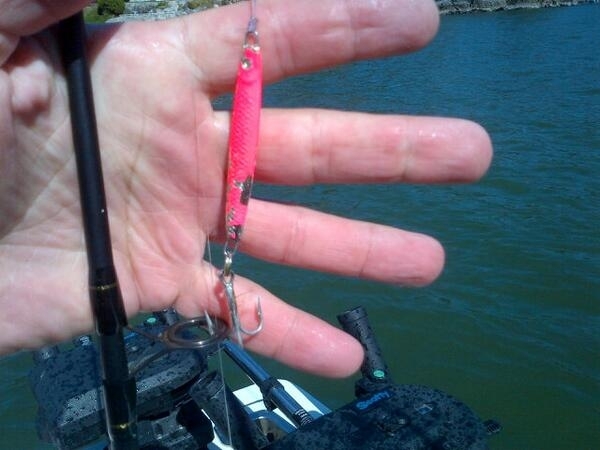 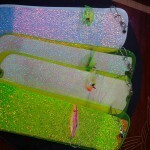 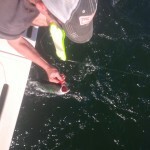 The main lure we use up in Howe sound is the Gibbs minnow 3 quarter ounce in the pink color they love it. 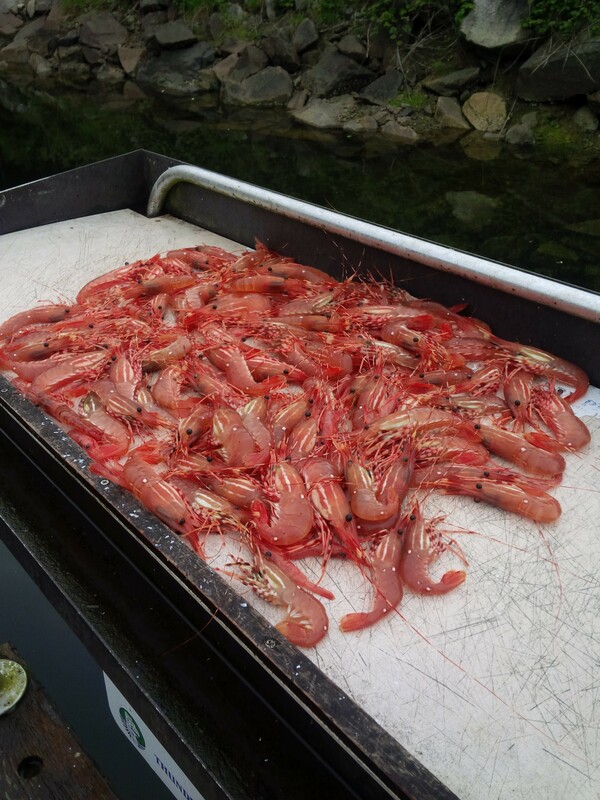 We have stopped prawning for now mainly because too many peoples traps have gone missing or have been checked constantly. 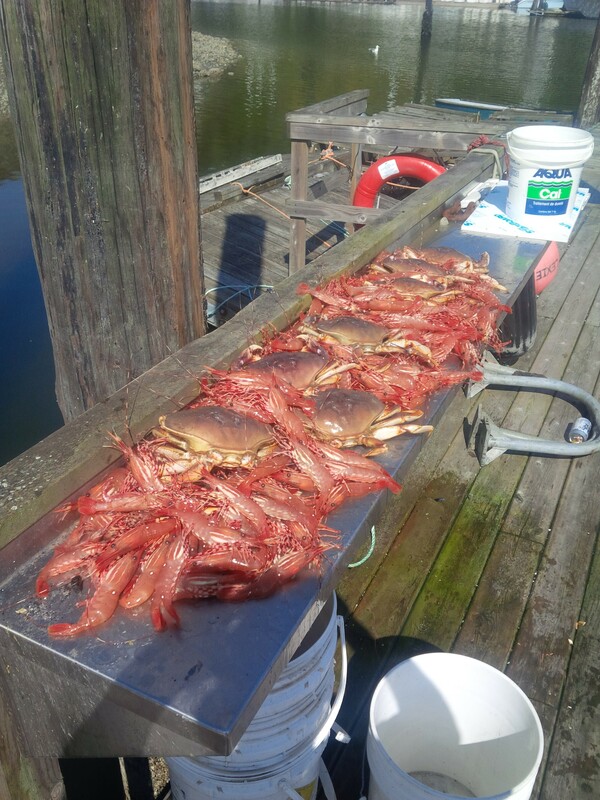 The Dungeness crabbing is still very good. 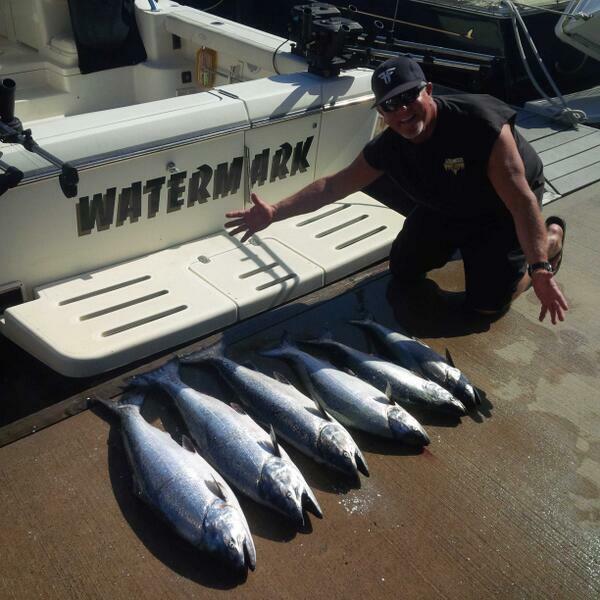 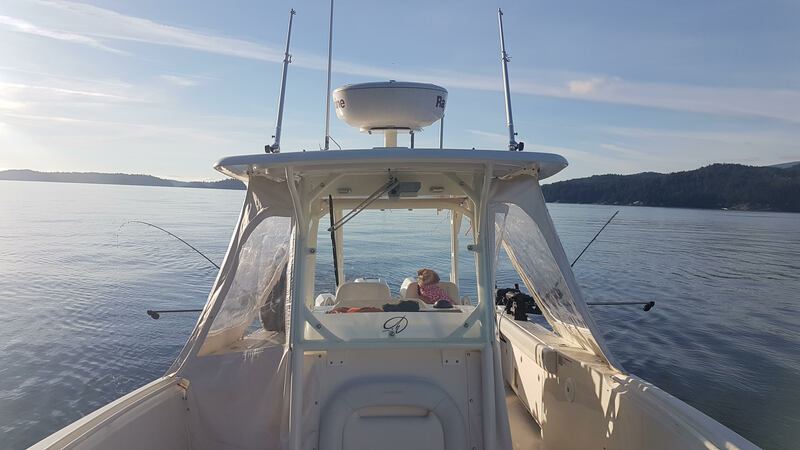 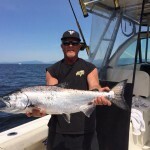 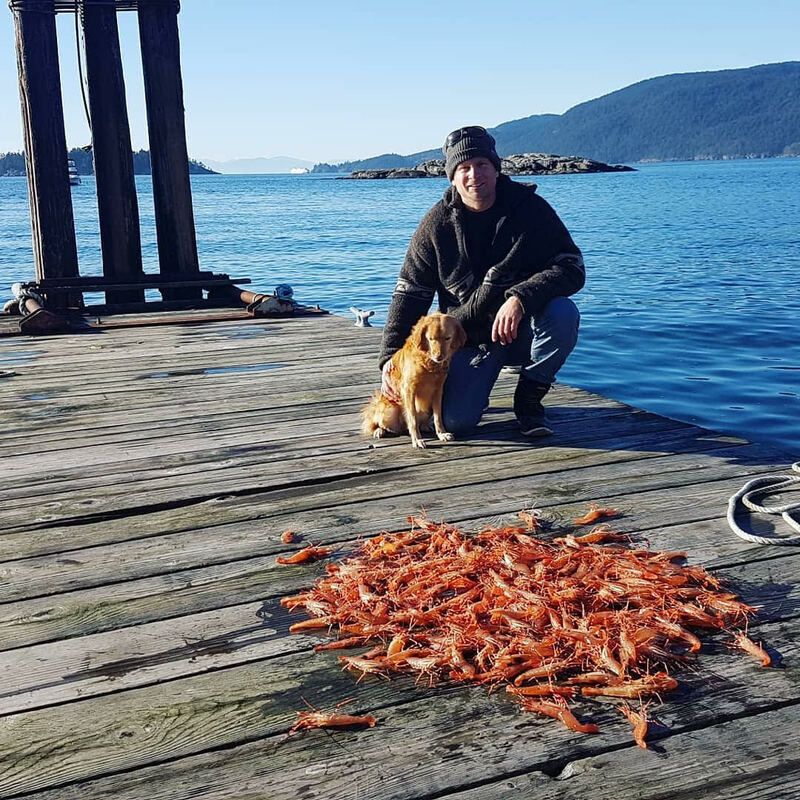 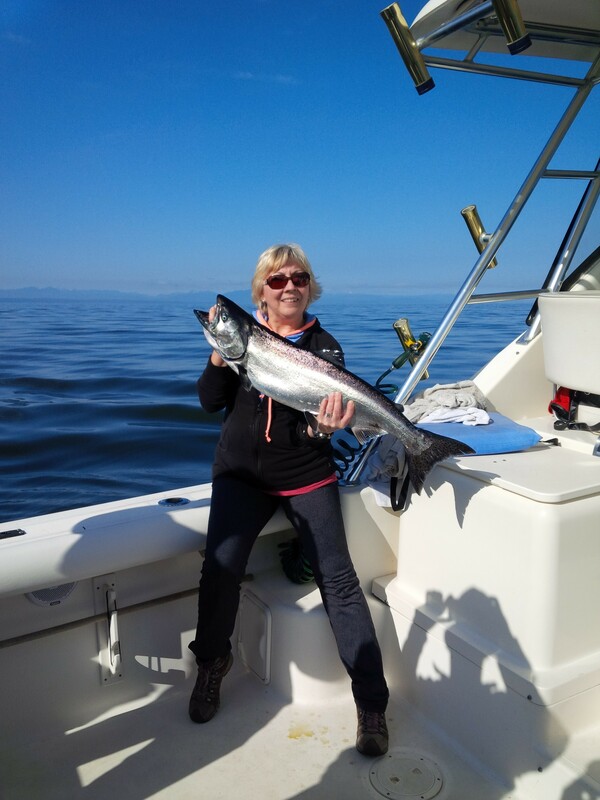 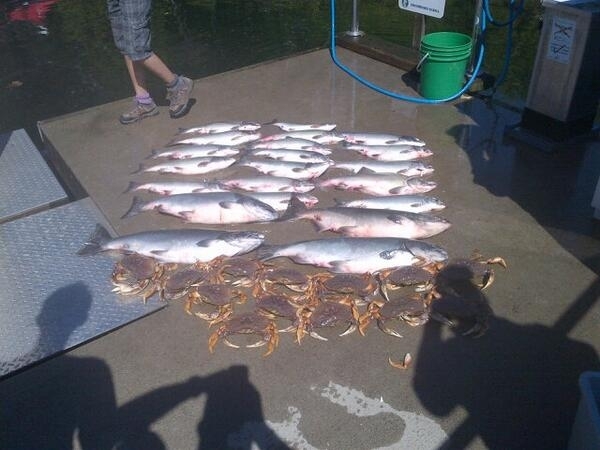 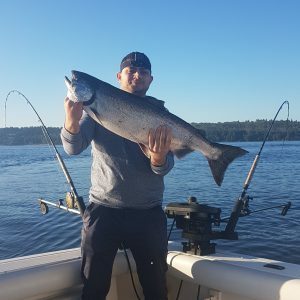 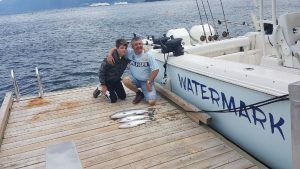 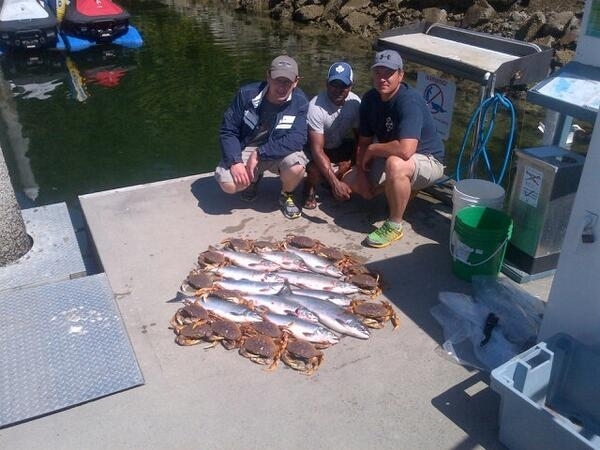 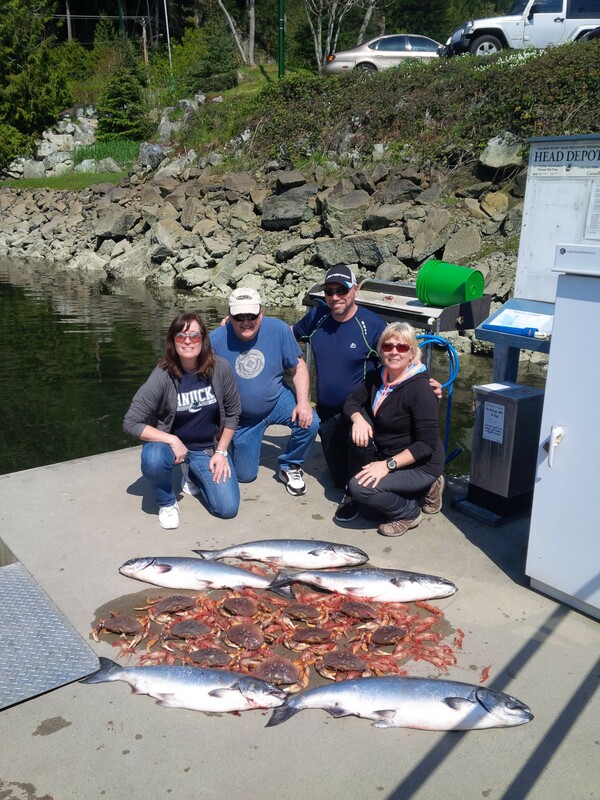 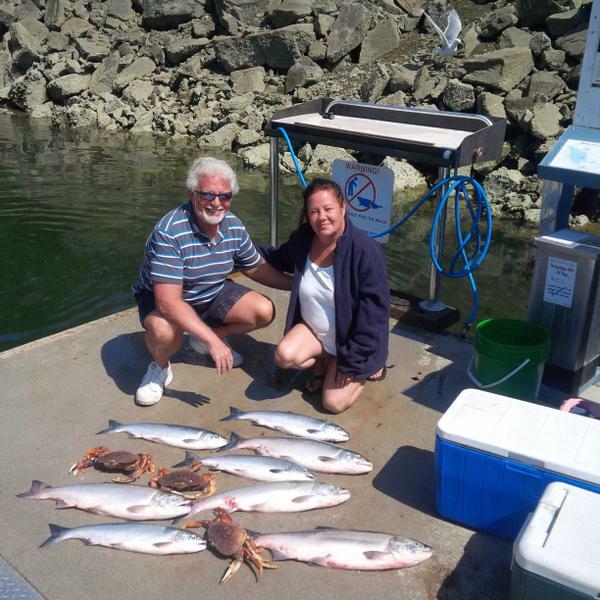 Look at my twitter postings to see the salmon and crab pictures its also a great place up Howe sound to go for a swim after your day of fishing. Give me a call if you have any questions I will help you any way I can. 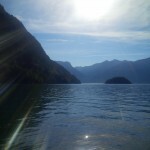 August is nearly booked up so if you’re thinking of a trip give me a shout.